National Drug and Alcohol Facts Week (NDAFW) is next week, January 22-27, 2019. Since 2010, the last whole week of January is reserved for NDAFW to bring teens and scientific experts from the National Institute on Drug Abuse (NIDA) and the National Institute on Alcohol Abuse and Alcoholism (NIAAA) together to SHATTER THE MYTHS® of drug and alcohol use through a variety of media from print materials to a web chat. The experts share the scientific and health effects with the teens to educate them on what is true and what is “fake news” about drug and alcohol use. NIDA has summarized their findings and achievements for 2018 which include studies of addictions, the role of brain receptors, pain management alternatives to opioids, and new medications and biofeedback treatments for opioid addiction. Understanding the research and achievements help to establish organizations like NIDA as scientific fact-based experts in the field and present a trustworthy status for teens. It also provides evidence-based information for nurses to utilize in working with children, teens and young adults. NDAFW events are held around the country to educate and provide teens and young adults with free science-based information and materials from NIDA and NIAAA to make informed decisions for themselves. These can be ordered, downloaded or viewed online from the NDAFW website. Healthy living is key to preventing chronic disease, disabilities and illness. Understanding factual information about the effects of alcohol and drugs on the body and brain can help teens make sensible choices based on information from reliable trustworthy sources. Ideas and Toolkits are available to help plan and promote NDAFW events. One of the premiere events is a live web chat, National Drugs and Alcohol Chat Day. This year is the 10th anniversary of the chat day. Scientists and science writers will answer questions submitted from teens around the country in the live event on Thursday, January 24, 2019 from 8AM to 6PM EST. The event will stream on Facebook all day for those who didn’t get registered in time to participate in the live chat. Be sure to Follow NIDA on Facebook. A transcript will be available later for review as well. Past transcripts are available for information and an idea on the chat day format. Other interactive events for individuals and groups alike include testing knowledge and utilizing animations, audio and video clips to understand the ugly truth about drug abuse. These are provided by NIDA and Scholastic, Inc. The IQ Challenge presents valuable information in 10 multiple choice questions about subjects such as statistics of drug and alcohol use, questions about specific drugs such as Fentanyl, Ecstasy, Mollies, THC and CBD, and symptoms of overdose. It also asks two “Brainiac” questions to challenge students even more. Keeping up to date on the latest craze in the realm of drug abuse for teens such as eating Tide Pods or vaping in elementary school is essential to quality preventative healthcare. Learning the vernacular (i.e. dabbing, Spice or K2) and understanding the science behind cravings can be daunting, but necessary. Nurses are the backbone of the healthcare industry and responsible for much of the patient education. Educating children, teens and adults/parents in drug and alcohol abuse is part of everyday nursing practice. 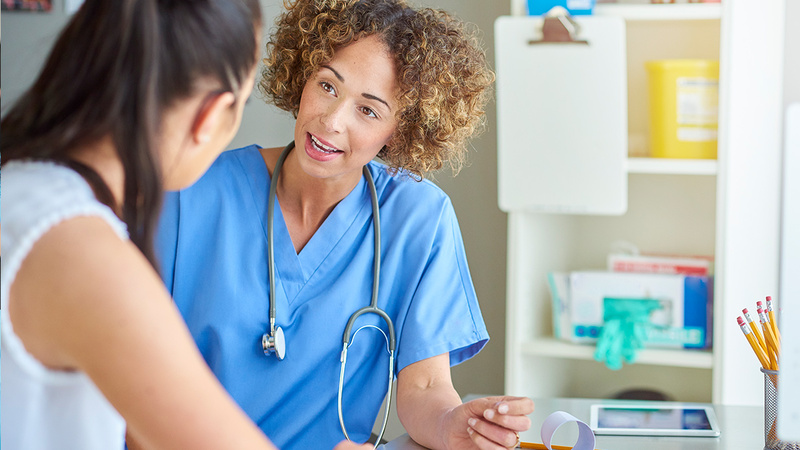 Continuing education for nurses in the subject of substance abuse and addiction is important to all nurses to stay abreast of the rapidly changing and growing studies and trends affecting healthcare. Pain management, for instance, has been drastically challenged by the opioid crisis and severe limits on prescriptions following surgeries and injuries. Tylenol and ibuprofen usually don’t meet the challenge initially. The pendulum quickly swung in the direction of discontinuing the use of controlled substances, and now after seeing the suffering caused by this, physicians, pharmacists and insurance companies are reconsidering guidelines for safe and effective short- term use of controlled substances. This is also going to require close observation and education of patients to ensure best-practice pain management to achieve optimum results and prevent addiction and abuse.